3.6 Volt Lithium Ion Battery. 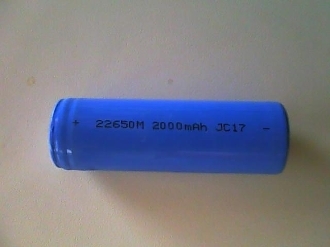 This big blue battery has a small red circle on the bottom (negative) end. Note: Order this battery only if your charger plugs into the bottom cap of the laser, and not the side of the laser. Order the Tenergy battery from this site if your charger plugs into the side of the laser.